Ask Questions – What Can We Do to Help? You are here because you sense that when you ask questions you don’t get the reply you want? And that by asking good questions you will unlock so much more including greater opportunities? Well, you have come to the right place. 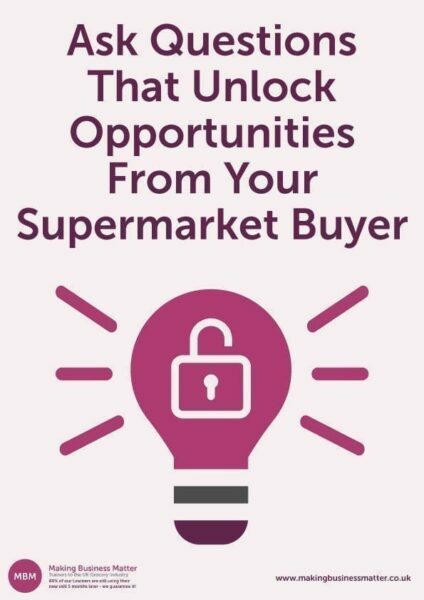 Your supermarket buyer is a rich mine of information – if only you had the right questioning skills. #1 What Can a Hotel Receptionist Teach Us About Asking Questions? In our negotiation skills training course, we run a session with a case study all about questions. 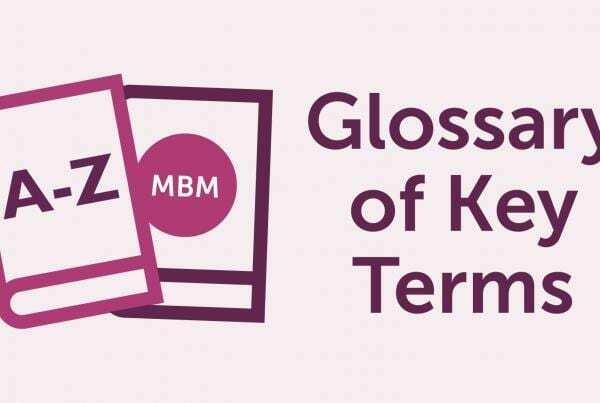 Over the last 15 years, nearly every learner has talked about open versus closed questions and spoken of the importance of funnelling down on information. Then, in the live case study, they only score 2 out of 7 because their ‘effective questioning’ wasn’t effective! Let’s begin with the hotel reception. What are you asked when you check out and leave the hotel? So, what is the objective of this question? It is for the hotel to gain feedback about your stay with them. Yet, the results will rarely provide a rich dataset of information to analyse. I suggest that the objective of the question is actually to simply tick a box and to disguise it as feedback. In reality, it is more about making the hotel feel good that they asked. We assume that the guest did not like something, and thus, we are asking them to name just one thing that could have been better. The reply enables the hotel to create a database of improvements that they could work on to enhance their customer’s experience. A pointless question has been turned into an effective question. Action: Whilst easy to say and possibly obvious, many don’t do it. Know what you want to achieve from your question. If you just want to tick a box, then accept that your objective is that. However, if you want to achieve more, know what you want to achieve. My Mum used to say, ‘Have you tidied your room?’… She knew the answer and so did I! Avoid these types of questions because you will lose credibility. Often, we guess what the questioner wants to hear and modify our answer accordingly. It doesn’t matter whether we want to be honest or not, we know that the other person probably wants us to say that they aren’t very good! It is much better to share your opinion than to gamble that a) the person will guess what you are thinking and agree, or b) that the person won’t guess and will share their honest opinion when all you really wanted to say was that you think the presenter is poor. Action: Avoid asking questions that are really opinions disguised as questions. Be clear on the information you are trying to uncover and target your questions precisely. In every exercise we observe, learners tend to ask one question, followed just like a London bus by another, followed by yet another! Partly down to nerves, partly they just don’t know that they are doing it, and partly because they’re not entirely sure what information they are looking for. 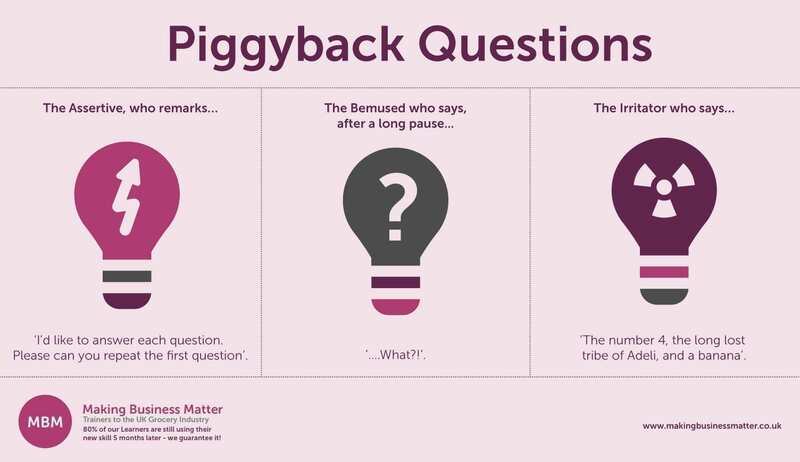 These are called piggyback questions – just like when you gave someone a piggyback as a child and had to struggle to walk carrying yourself and another, and in my school sometimes two! ‘I’d like to answer each question, but please can you repeat the first question’. ‘The number four, the long-lost tribe of Adeli and a banana’. Action: Don’t ask questions in a quickfire barrage. Think through and ration your questions one by one into carefully crafted incisive questions that will elicit information from the buyer. Providing options when asking questions is a very useful technique because it helps us achieve an answer with greater clarity. ‘So, is it the red, gold, or black one that you like?’ We are helping the other person by narrowing our question down to specific options. This method is about saying ‘Yes’ to the person and ‘No’ to the task. Notice, that when anyone presents options, they nearly always present their favourite option last. If my wife asks me which dress I like, I always choose the last one she suggested out of the three options she offered. Action: Questions with options allow you to target answers more beneficial to what you are trying to achieve and make it easier to say ‘yes’ wisely. We will not spend long on this section because everyone knows that a closed question gets you a ‘yes’ or a ‘no’ answer. Great for getting confirmation or rejection, but not for gathering information. Open questions cannot be answered ‘yes’ or ‘no’ and therefore you get a richer, more in-depth response. As with most things in life it is about balance, having the right balance of open and closed questions in your questioning armoury. Closed questions are useful for seeking clarity and confirmation. For example, ‘Is the Tuesday launch date acceptable?’. Open questions get you much more information. For example, ‘What is stopping you from launching on a Tuesday?’ – ‘who’, ‘what’, ‘where’ and ‘how’ are great starters to ensure you are asking open questions. In my experience, everyone knows the difference but few do it. 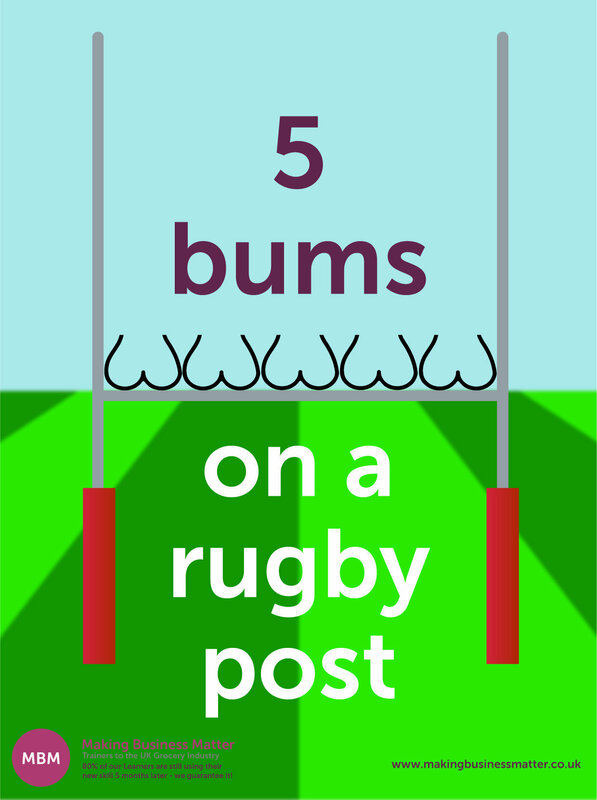 The best way to remind yourself of open questions is: ‘5 Bums on a Rugby Post’. This will help you to remember to use open questions by starting a question with either: what, where, when, who, why, and also how (the ‘H’ is the Rugby post!). Action: Balance your questions – use searching open questions to get out information, then closed questions to confirm the situation. The fog and mist that is trust – a murky issue! ‘I know who I trust and who I don’t trust, I just can’t put my finger on it!’ This is from a learner on our communication skills training course. We helped her by sharing the ‘trust equation’. There are 4 parts to the trust equation and understanding it will help you greatly. The element of the trust equation that relates to questions is ‘I’ for intimacy. The law of persuasion tells us that people who have something in common are much more likely to come to an agreement than those that don’t. Questions help us to find out things about someone so that we may share similarities. For example, ‘How was your weekend?’, ‘What do you do to wind down?’, or ‘We went to an art club last week – have you ever tried it?’. Building intimacy helps with one of the 4 parts of the trust equation. Without it, we may as well let the machines talk to each other! Action: Identify a colleague that you have previously struggled to develop a good working relationship with. See if intimacy is the hurdle and then ask questions to jump that hurdle. ‘You like seeing my friend Anna, don’t you?’, said my wife. Though I’m not sure that an actual question mark exists at the end of that question, it is a question nevertheless. Loaded questions can be useful but only if deployed sparingly. Sometimes, it is in your interest to lead the witness by asking loaded, leading questions. Mostly, however, you shouldn’t, leading a person down a particular path can be risky. They may agree right up until they need to commit, and then when they realise what you have been trying to do, quickly do a 180 degree about face! Much better for you to understand their concerns as you go, rather than have them all come flooding out at the end because you have bamboozled them with loaded questions. Think of a second-hand car salesman and you will see the dark side of loaded questions. ‘You’d like the silver saloon, wouldn’t you? It’s only had 3 owners, and one was a family man like you. You’re a family man, aren’t you?’. I bet your wife would love it when you pull up onto the drive with this baby, wouldn’t she?’. Action: Use loaded questions sparingly. They can be risky, proceed with caution. 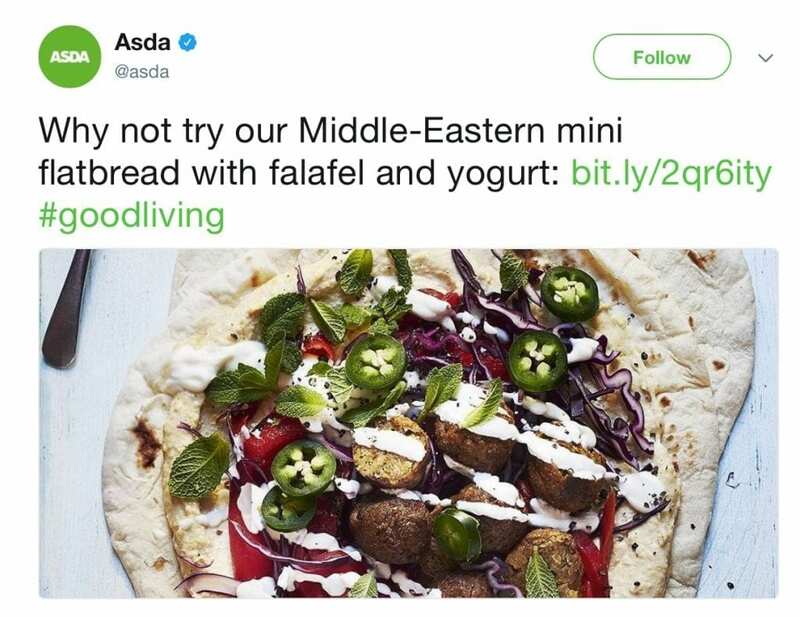 An acceptable loaded question would be an account manager saying to a supermarket buyer, ‘I’m sure you’d like to get that product you like so much listed as soon as possible, wouldn’t you?’ A little ‘push ‘ is probably expected and accepted. Q: Why do you think the category isn’t performing? A: Because April was a terrible month. Q: What happened in April to make the whole category decline? A: The new range was launched. Q: What was it about the new range that affected the category? A: The packaging was not fit for purpose. Q: Was it the outer case packing? Note: You use open questions to funnel down into the detail of the subject. Try to ensure you end with a clarifying closed question to reaffirm the information you have discovered. Action: Always balance your questions using the funnel technique. Start with relatively wide-ranging open questions to get onto the topic you want to discuss, and then funnel down, until you ask a confirming closed question to establish the understanding of the issue or topic. The 5 Whys is a popular model for trying to get to the crux of the matter. It involves starting each question with a ‘why’, waiting for the answer and then asking ‘why’ again and again. Typically, by asking ‘why’ five times, it helps you both get to the root cause of the problem. Be careful of the tone that you use with this questioning strategy because it can come across as interrogative if not downright annoying! It needs to be delivered in a soft and collaborative manner. Action: The 5 ‘Whys’ is a great and very simple method for quickly and effectively getting to the heart of an issue – 5-year-old children are masters of this technique! Answer: I’m not sure if I’d like it so it might be a waste of money. Doh! Action: Never ask ‘Why not…?’. Starting your questioning with a negative can be misleading and reduce the chances of a positive outcome. We spend our days asking questions – ‘What time is it?’, ‘When is dinner?’, ‘How much is that?’, ‘Why is the train late?’. The fact we ask so many questions, so often, makes us slightly blasé about them. We fall into the trap of assuming we are experts at questions and never think carefully about how we use them to get the information, results or actions we want. Worst of all, we often ask questions and fail to listen to the answers! Try to think about questions in a more structured way when preparing for your meetings. What are you trying to achieve? What information do you want to get? How will you use an effective questioning strategy to get there? Ensure you know your objective if you want to obtain real feedback. Be careful of asking questions that lead but aren’t actually questions. Find a better way to share what you want to say. One question at a time works better! A good way to say yes to the person but no to the task. Remember, the last option is often the most desirable one. Any easy way to ensure you are asking open and expansive questions – five bums on a rugby post. Understand the trust equation and use questions to build intimacy and improve your trust. Proceed with caution – unless you’re a second-hand car salesman! A very useful technique when you have an area to explore. Learn this probing technique because it works very well – just ask a 5-year-old! At MBM we are all about making it stick. In order to do that you need to use what you’ve read here frequently. A trigger works well. 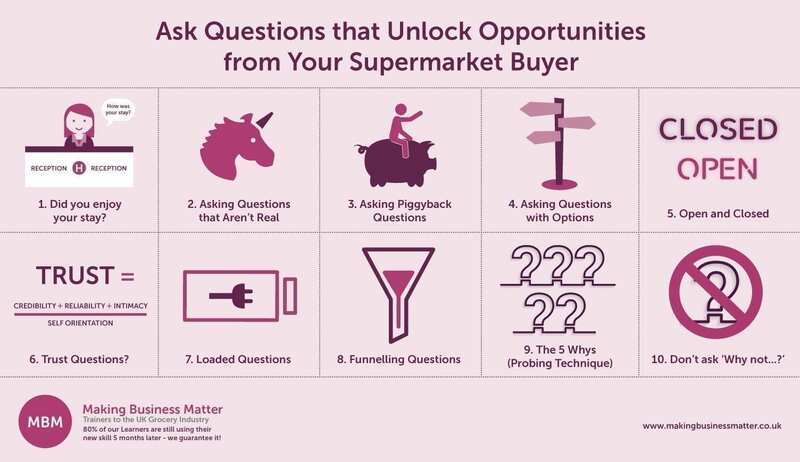 I suggest printing this article, reading it twice more, and then putting a post-it note of your favourite 3 questioning strategies that you want to use, in a place that will nudge you before your next meeting with a supermarket buyer. If you’re interested to learn more about questioning techniques, contact us to find out how our negotiation skills training could help. Did you enjoy this post? Was it helpful? What one thing did you not like about this article? Why do you think it is so important to employ the correct questioning technique? I’m sure you’d like to write a response to this article below, wouldn’t you? Feel free to respond in the comments section below, we’d love to hear from you!